Custom and Myth is a classical collection of mythology essays by Andrew Lang. Though some of the essays in this volume have appeared in various serials, the majority of them were written expressly for their present purpose, and they are now arranged in a designed order. 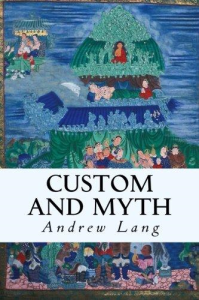 During some years of study of Greek, Indian, and savage mythologies, I have become more and more impressed with a sense of the inadequacy of the prevalent method of comparative mythology.